Tari Anne is a Bahamian B Class sloop racing sailboat built by Walter Archer in 1974 in Nassau, Bahamas. Percival Knowles (grandfather and Bahamian Olympian), is now the owner of this amazing sloop. The Bahamian Sloop racing boats are built to imitate the old fishing smacks that used to race each other during the fishing off season. 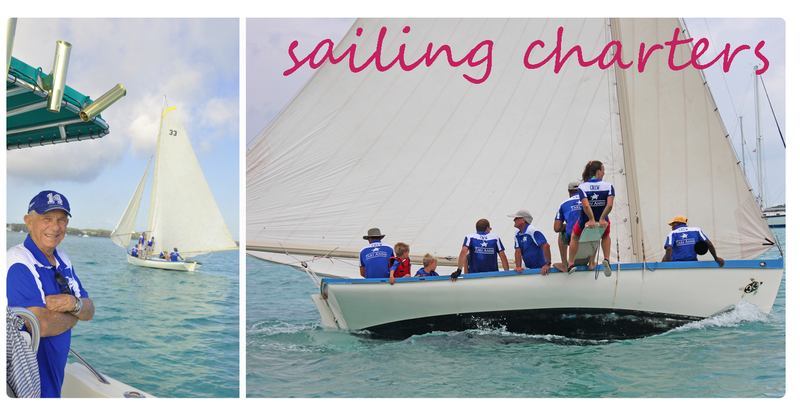 Our big race occurs every April for the National Family Island Regatta. Boats from all over the Bahamas come to George Town to race each other. It's a huge event for our island, and for the sailing community. Here's your chance to experience the thrill of these giant sails underway and riding high out on the pry. If that's not enough to wet your appetite, check out this incredible drone footage Marcus P. took of us out sailing one day. For more information about this amazing sailboat and how to help sponsor her and her team, check out this brochure.